New top spec MK3 GRP Mirrors are available from Dinghy Sports in Sydney. If you're interested, give Mark Phillips a call - he's a Mirror sailor himself and always happy to have a chat. Dinghy Sports Mk3 GRP fibreglass hull with three sets of sails, one near new. Ready to race with a measurement certificate and beach trolley provided. Also includes mast, foil and top covers. Always stored under cover and in excellent condition. As new complete set of Walker Sails for sale. Can be used on either gaff or gunther rigs. 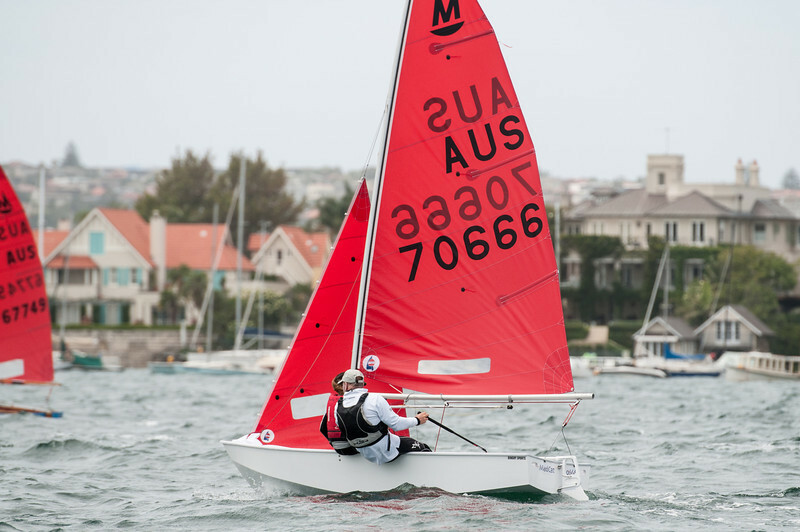 Used for Sail SYDNEY 2018 and first leg of NSW Mirror States on AUS 70951. Very happy to help tune the sails to your boat. $800. Currently stored at HHSC. Expected price $6500. Hull colour green and blue. 2 sets of Walker sails. 2 centreboards. Gaff-rigged. No trailer. Pick up from Canberra. $1200 ono. Contact Andrew Forster - 0438 357 443 for more information. Built 2015 , number 70855 , Goldspar mast , Scott sails , Top cover , trolley , Athol blue hull , white interior , launch pole setup , trailer $10,500 . $10,000 without trailer . call Mark at Dinghysports , 02 9997 1636 . Woody - is a circa 14 year-old wooden Mirror Dinghy recently renovated and prepared for racing with new mast, (McDiarmid) sails and painting/varnishing. This boat is great for learning to sail/casual sailing but has also been well-prepared for racing. Woody placed 6th at the Woollahra-based Australian National Championships in 2014 (3rd wooden Mirror). Has been carefully stored and unused in Brisbane since then. New sails have been used circa 10 times only. Two suits of sails available. Can be delivered to Sydney. $4,000 ono Please call Kevin Jarvis on 0416197720. Mirror Centre Board. 2nd at Gosford Nationals and last used at 2003 Hobart World. It’s twin sister placed 3rd in the Hobart Worlds. This is a first class board which would suit a keen sailor. $300. Walker 12A Mirror Jib. Only used for 2003 Hobart World. $150. Walker Mirror Spinnaker. Only used for 2002 Nationals and 2003 Hobart World. $150. 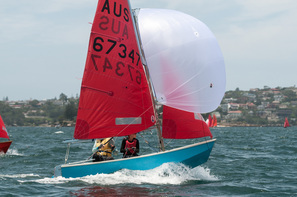 Share boats are available at Woollahra Sailing Club. These are usually timber and perfectly seaworthy 'classics'. Ideal for entry level without any capital outlay! If you would like to post a for sale notice here, please let us know. There are also often Mirrors for sale on eBay and Gumtree.